TITUS WELLIVER! Even his name alludes to great things coming. I have to say there are few times in life when a single brief chat with a person can totally change your perception of them and my chat with Titus Welliver is definitely one of them. Based on the engaging personable performances & dangerous intensity Titus Welliver brings to screen I had kind of envisioned him as an almost mythical poet warrior figure who gargled whiskey for breakfast, read Time, Kafka & Bukowski in between push-ups, in the afternoons when he wasn’t practising his acting method with De Niro, Walken & Pacino, you could either find him boxing at the local gym or painting (for completeness sake in the evenings he plays poker and discuses philosophy). He just exudes that easy going natural creative confidence that you know is going to take him where he wants to be and it shines through on screen. Well some of the above may be true, but my chat certainly wasn't long enough to explore any of it however I now know that Titus Welliver is a articulate, gracious, focussed, humble, family man with a huge love of comics – that’s right he is a huge geek. I loved HBO’s Western series - Deadwood. If you haven’t seen it I strongly urge you to - you won’t regret it. We may be amidst a TV revolution with high quality productions for adults flickering in to our living rooms every evening but back when Deadwood came out there were far fewer ad it certainly helped pave the way. I’m unsure if Deadwood’s continuing serial format allowing a slow burn - roll out of events gave the cast greater freedom to get under the skin of their many varied and interesting characters, or if the casting director of Deadwood is some king of genius with an eye for talent. Either way one of the many, many great things about Deadwood are the outstanding performances delivered across the board. Truly every character brings something to the show making Deadwood western story telling at its finest. I start with Deadwood because this is where Titus Welliver first came to my attention. I guess his role was fairly small but it never felt like that, it always felt like his character was gearing up for a much larger play in the scheme of things. I’m pretty sure this comes to down to Welliver delivering a solid performance while eating up everything in frame with a quiet intensity that keeps his character dangerously unpredictable - traits that he brings to every role that he takes on. 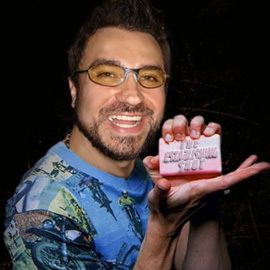 Of course he had a huge chunk of work behind him by that time and every role that I saw him in after (and there are a lot as he must be averaging like 5 TV shows a year in between video games and films) he stood out I’m talking about performances in amongst others; Assault on Precinct 13, LOST (He was the Man in Black or The Smoke Monster), Gone Baby Gone, Sons of Anarchy, The Town and he can currently be seen in solid drama mode in The Good Wife on Channel 4 in the UK. So when the chance came up to chat with Welliver about his involvement in the Marvel One-Shot: Item 47 I jumped at the opportunity. 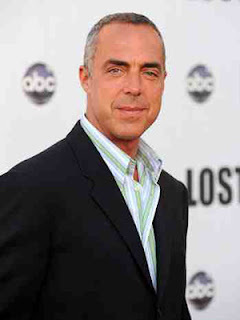 I’m not giving too much away when I say that in Item 47 Titus Welliver plays Agent Blake one of the S.H.I.E.L.D. 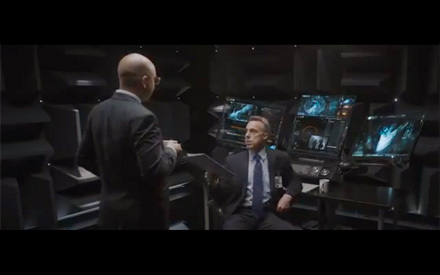 Agents on a mission to recover Item 47 and I was keen to find out what drew Titus Welliver to this project as well as how he got involved. His answers may surprise you as much as they did me. 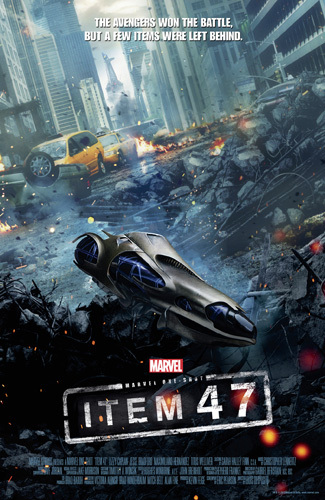 Craig Grobler: Can you tell us a little bit about how you got involved in Marvel’s Item 47? Titus Welliver: Well I got a call from my manager to tell to me about Item 47. It was all extremely covert but as soon as he mentioned Marvel – it didn’t take me very long to respond, of course. I am a, well for lack of a better word, a fan or a geek as they like to say now, although I find “Geek” is a bit pejorative considering that most serious comic book readers are some of the smartest people I have encountered. I really signed on sight unseen and only later when I read the script found out I was playing a S.H.I.E.L.D. Agent. I was overjoyed because I am a big, big S.H.I.E.L.D. fan I was an avid reader of Nick Fury Agent of S.H.I.E.L.D. and Sgt. 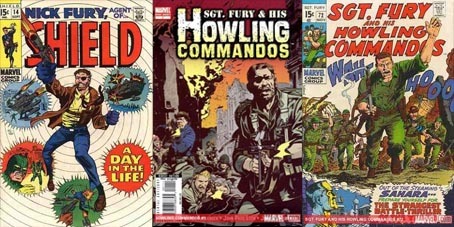 Fury and his Howling Commandos and have dwelled in the Marvel Universe since I was a kid. I would say my knowledge kind of went from the early 60s stuff to the late 70s when I dropped off from reading comics, and then returned to the universe with the more adult titles. I was thrilled to be involved as part of S.H.I.E.L.D. Craig Grobler: I guess that leads into a question on everyone's mind - with the recent announcement that Marvel will be bringing a S.H.I.E.L.D. series to Television and your huge wealth of experience in television shows - will these mini One Shot efforts like The Consultant, A Funny Thing Happened on the Way to Thor's Hammer and Item 47 lead into the S.H.I.E.L.D TV show? Titus Welliver: That is my hope. I have no real concrete answer at this point. It is very early in the game and I think they are developing the concept. The short answer would be I would be thrilled if Agent Blake could be more fully realised moving forward, he is a really fun character. Craig Grobler: Has there been any hypothetical discussion about Agent Blake’s development within the wider Marvel Universe? Titus Welliver: Well hypothetically the potential is out there but again nothing concrete has been discussed and I would embrace that fully. The irony of this, is that I used play S.H.I.E.L.D. when I was a kid. I was lots of characters from the Marvel Universe, Captain America, Spider-Man but I was Nick Fury 3 or 4 times for Halloween and it just seems a natural progression to play something like that as an adult. Craig Grobler: Clearly you are an aficionado of Marvel Comics and I was if you were reading any at the moment? Titus Welliver: I have been re-reading a lot of the earlier stuff. Two of my children are boys and they are at that age where they are fully immersed so I have been taking them back to the origins of the characters that they are in to, like The Hulk, Captain America, The Avengers, so I have been revisiting all those titles, not just from my own collection but Marvel produces the Essential Marvel collections and even though they are in black & white – the art and information is relevant. Regarding new titles, my kids have been reading Avengers vs. X-Men, one of my son’s is into Deadpool and Hawkeye so I am been brought into the current stream with those titles but as I say to them you don’t put the cart before the horse you need to know the background of these guys. Craig Grobler: We are chatting about Marvel’s Item 47 but you are also in another comic based production called Powers. Typically your roles are fairly weighty and you tackle serious material, initially I was going to ask if these more fun comic based roles signalled a change in direction for you or if you were a fan of the genre. But I guess that I a moot point now with the revelation of your love of comics so I was wondering if you can tell us a little bit about Powers and your role as Triphammer instead? Titus Welliver: Powers was a great experience. I had worked with both the Director Michael Dinner and the Writer Chic Eglee ( Charles Eglee ) before and Jason Patric and Charles Dutton are old friends so I jumped at the opportunity. I had some familiarity with Powers but not a whole lot but once I signed on to play Triphammer I read the comics to get up to speed. Sadly I have not seen the pilot yet but have heard from those that have – that they really like it a lot. I have to say Triphammer was great to play and a really interesting character so I was really disappointment that they decided not to move forward at this time with Powers. 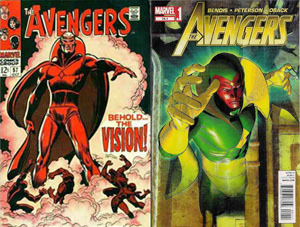 The vision for Powers was more adult, very much in the realm of mature comic stories that have shifted from PG to R. To round that out I should add that back in the 60s Marvel & Stan Lee really broke ground, especially for that time and opened the door on mature themes in comics. For instance issues of Spider-Man ( Amazing Spider-Man 96-98 ) did not get the Comics Approval Code seal because there was content related to Harry Osborne’s drug problem. 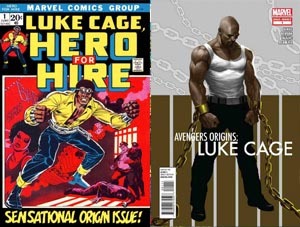 Marvel to my knowledge introduced the first Black superheroes like; The Black Panther, Luke Cage, Hero For Hire to name a few and they dealt with adult issues. Marvel really opened the doors so that we could have titles like Brian Michael Bendis’ Powers and to cite a DC title Frank Miller’s The Dark Knight Returns. Powers is an American creator-owned police procedural comic book series by writer Brian Michael Bendis and artist Michael Avon Oeming. The series' first volume was published by Image Comics from 2000 to 2004. 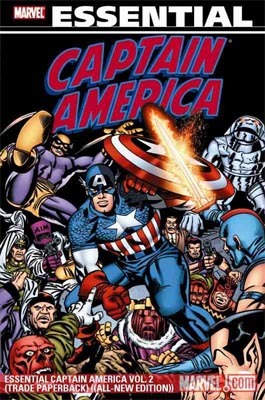 In 2004 the series moved to Marvel Comics as a part of its Icon imprint. Craig Grobler: You have a surprisingly vast knowledge of comics and characters, again in a hypothetical scenario if you were given free choice - which comic character would you like to play next? It is a bit of a trite question but I’m trying to get some insight into your mind set and the characters you are drawn to. Titus Welliver: Well that would all depend. 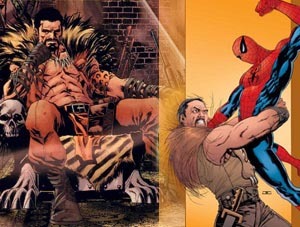 If they were doing a Spider-Man movie my first choice would be to play Kraven The Hunter. I have always loved that character. And as I said - the original Nick Fury, pre Sam Jackson that’s something that I fantasised about getting together in my 30s. But the timing was all wrong and no one was interested in doing something like that at the time. There are so many characters in the Marvel Universe that it is hard to choose a favourite. But you know Agent Blake is a character that would be a lot of fun to develop beyond what we have seen in Item 47. 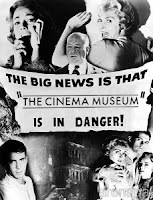 Craig Grobler: Well, now that there is an opening, a large opening on the S.H.I.E.L.D. team who knows? Titus Welliver: Ha, ha, that would be great, the ironically, Clark Gregg (Agent Coulson) was a room mate of mine in college. He is a long time mate. 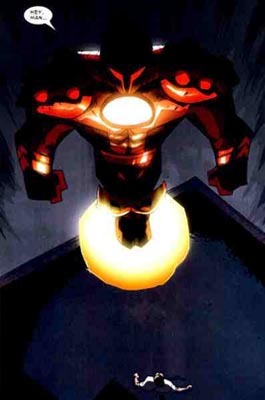 So I was very excited when I saw him first appear in Iron Man and the development of his character. His characterisation is great and he has created the template for all of us playing S.H.I.E.L.D. agents to follow. 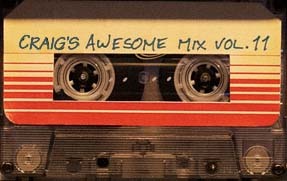 Craig Grobler: There has been some fan chatter that if the Vision made an appearance in the Marvel Universe Clark Gregg is ideally positioned to play him as he as already been integrated into the Marvel world, fans love him and after the events in Avengers Assemble he could return as a Stark Industries engineered android, synthezoid or hologram similar Stark’s Jarvis – but the Vision version. Full credit to: Phil of LiveForFilms.com who told me this theory over a beer. Titus Welliver: That would very cool. The Vision is an incredible character. I still have that issue with the red cover ( The Avengers 57 ) that he made his first appearance in and the romance with the Scarlet Witch. That is a great character, like the Silver Surfer he has that kind of trademark Marvel angst of a creature from another planet trying to navigate this world of human beings. I love it I could talk about this for ages. Craig Grobler: Have you met Stan the Man Lee and had chats with him at all? Titus Welliver: Actually years ago I was doing a play off Broadway play with Laurence Fishburne ( Riff Raff written and directed by Laurence Fishburne) and was on a chat show, Stan Lee was one of the other guests and we got to talk. He was quite amused with my geekdom and knowledge. I had to kind of contain myself. Most actors would say with reverence how they met, say - Marlon Brandon and I remember how I would say that I was on a talk show on got to meet Stan Lee. Laurence Fishburne is equally a geek so he got it. Titus Welliver: Oh yea, he is a big, big, Marvel encyclopaedia so he got it, but other people would ask who is Stan Lee? C’mon he is the Creator, Editor & Publisher of Marvel Comics. I got a lot of sideways looks. Craig Grobler: Switching gears slightly you and Ben Affleck have worked on a couple of feature films together; Gone Baby Gone, The Town and coming soon is Argo which is impressing festival audiences. How did you two meet and what keeps you coming back together? 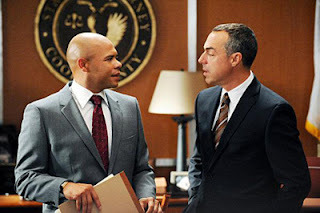 Titus Welliver: I met him in the audition process for Gone Baby Gone and I was fortunate that he had the courage to cast me in that role which was really written for an actor considerably older. He took a chance and our experience was extremely positive, then The Town and the role of Dino came up. 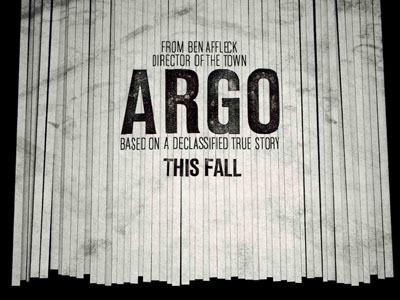 The role I play in Argo is a significantly smaller role than either film; I would say it’s a cameo. I love working with him I have tremendous respected for his ability as an Actor & Writer and certainly as a Director. For my money, pound for pound I think he is without question one of the best Directors in the business and just continues to get better; he grows each time he directs. I think anybody would be challenged to argue the point that when they saw Gone Baby Gone that it was a first effort, that film had the weight of a seasoned Director. He has that gift. He has worked with great Directors, so has learnt a tremendous amount and he’s all encompassing of an Actors needs when they get on the set. 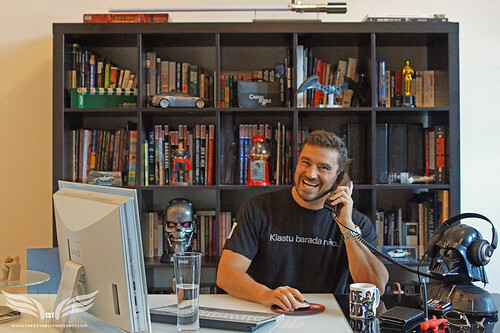 He creates an environment that is collaborative, supportive and he generates a tremendous amount of energy and excitement- which is very contagious so I love working with him. Sadly that is all we had time for. Thank you Disney for arranging this. 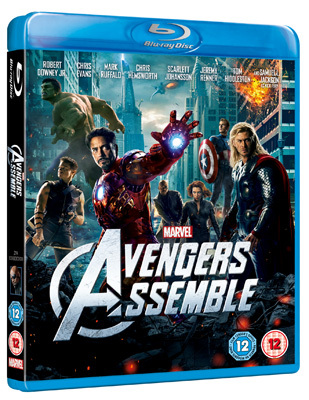 In the meantime you can see Titus Welliver in Item 47 available on the Marvel Avengers Assemble Blu-ray, out 17th September in UK as well as in upcoming features; Midnight Sun, Powers and Matt Damon & Gus Van Sant's Promised Land. The Establishing Shot: TALKS ITEM 47 & MARVEL COMICS WITH TITUS WELLIVER, a photo by Craig Grobler on Flickr.